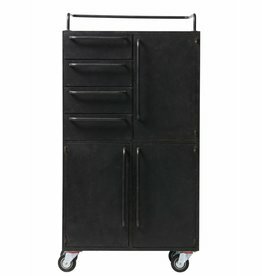 Tough industrial, black, metal case, Black Beauty from BePure. 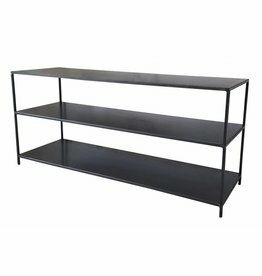 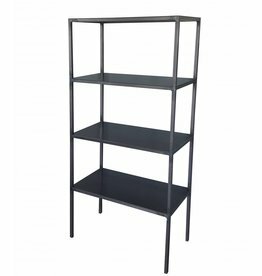 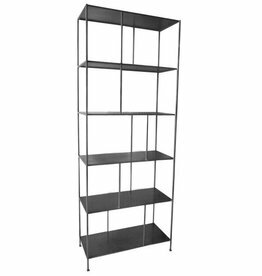 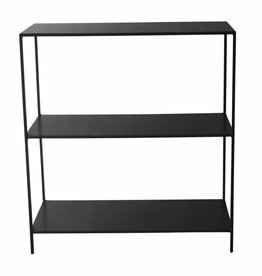 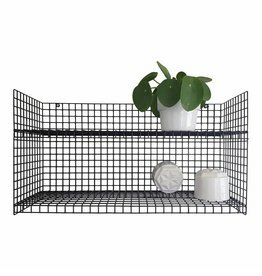 Tough metal shelving unit Iron by Stoer Metaal. 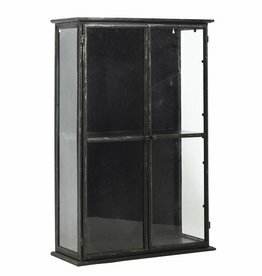 Nice black wall cabinet with 3 shelves Kiki van Woood. 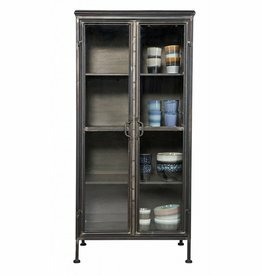 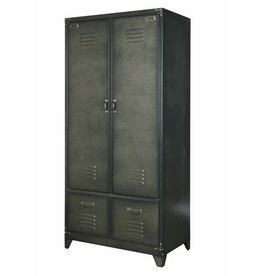 Beautiful metal cupboard, open low compartment cupboard Divider from Bodilson.